Much as we like it in Vuda we are now more than ready to get away and out to the islands. 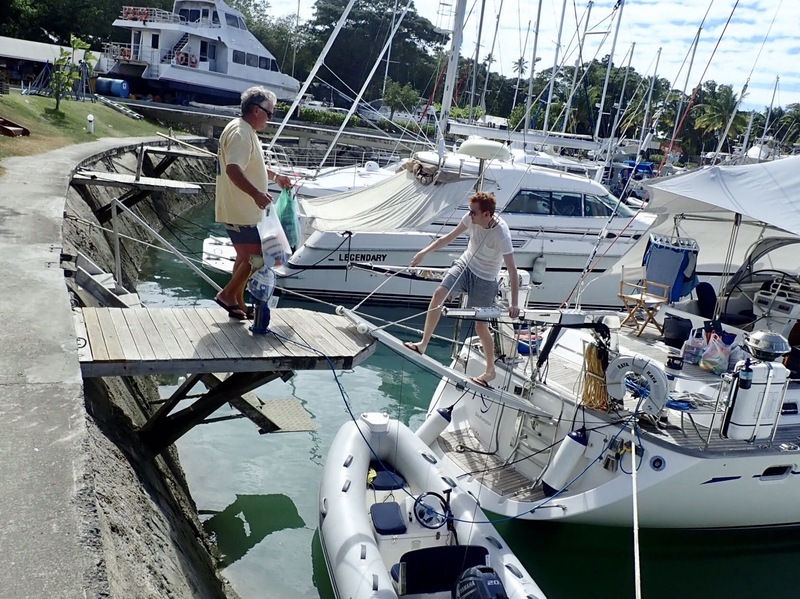 We have had a couple of very hot, humid, windless days, we are being plagued by mosquitos and tiny biting noseeums and then there is still the ongoing challenge of being attached to the fixed dock, that often requires scaling a near vertical passerelle as you leave or return to the boat. Since our return from the UK we have been busy preparing things for our guests. Matt arrived yesterday and Tony and Gilly join us tomorrow. So it has been a week of cleaning and provisioning. Luckily we have had the help of Abdul the taxi driver to ferry us around to the shops and run us to and from the airport. 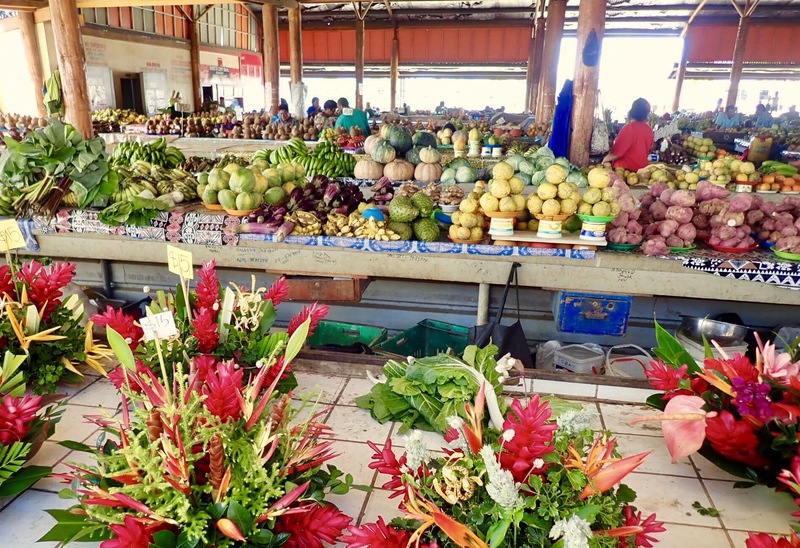 This part of Fiji is relatively built up, lining the road into town are houses and light industry interspersed with fields and fields of sugar cane. Sugar export is the countries primary source of income and the industries presence is very obvious in this part of the Island. Trucks loaded with canes pass us on their way north to the large sugar mill in Lautoka and smoke billows from the plant and scattered fields on the hillside, leaving a sticky dust on our decks. The development of the sugar industry has not only effected the landscape of Fiji, at the beginning of the 20th century as the plantations grew there was a massive influx of workers, most came from India and now their decendence make up nearly 40% of the countries population. Once past the fields of sugar cane and just beyond the airport is the supermarket. By Pacific Island standards this is a good supermarket with a much wider range of food than we have seen before. Matt and I fill the trolley while Rick picks up our ordered frozen and vacuum packed meat and buys copious amounts of wine. Then it’s on to the large fresh fruit and veg market. Heaps of produce weighed heavily on the tables and stunning flower arrangements added to the colourful scene. One very full taxi returned us to the marina and the exhausting job of getting everything onto the boat and put away, begins. As always in between times I’m on the look out for exciting bird life. There is a tree with ripe red fruits next to the boat that is attracting Red Vented Bulbuls, starling like birds with a red patch under their tails and a crest on their heads. Scattered through the undergrowth are small brightly coloured Parrot Finches with bright green bodies, red heads and red tails. 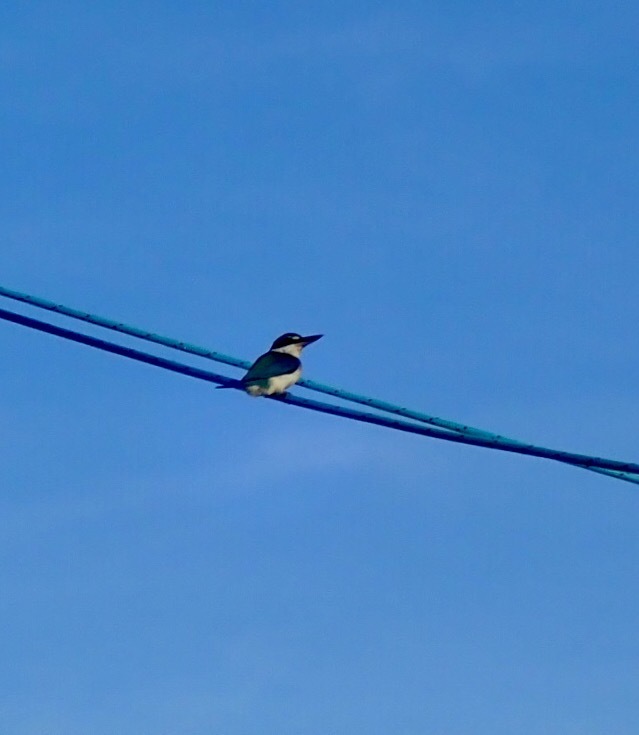 Then today perched on our neighbours rigging was a Pacific King Fisher. Hopefully in a couple of days we’ll be back amongst the sea birds. This entry was posted in Fiji, Getting Ready by Roz. Bookmark the permalink. Enjoying the Yasawas for the next few weeks.